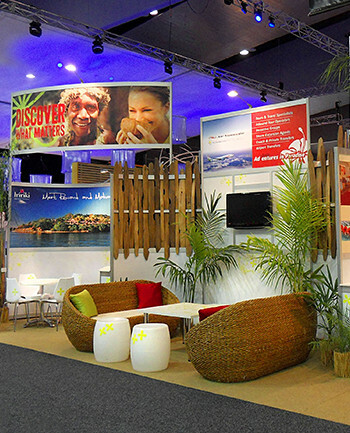 INDABA 2014 is almost here and tourism operators and service providers from various countries on the African continent are set to exhibit and showcase their products. Close to 1441 tourism and travel buyers have been confirmed and every player in the tourism industry looking to capitalise on the fast growing inbound tourism to east Africa will want to showcase their product to these buyers. 10th-13th May 2014 are the dates to mark off on your calender. INDABA is a South African word to mean gathering or meeting. The tourism Indaba as this event is sometimes called is one of the biggest gatherings on the African continent whose aim is to market tourism. It takes place in Durban South Africa, and attracts many people involved in the African tourism industry, delegates and media from all over the world. Singita, Tourvest, Amalinda collection and Mantis management are some of the players expected to exhibit this year. The event that is less than a month away has already received confirmation from about 380 main stand exhibitors. INDABA 2014 will have a Techzone, which will give tourism digital service providers an opportunity to meet and interact with buyers and sellers. Travelstart and TripAdvisor, Springnest and Expedia are some of the companies that have confirmed to exhibit in the Techzone. Usually, people or companies that attend INDABA are veterans. They have been there many times before and just enjoy the experience and a chance to promote their businesses. Many of these are travel brands from all over the world that are already enjoying business success and have impressive reputations. Some of the countries and Africa Safari destinations confirmed for the exhibit are Seychelles, Uganda, Ethiopia, Lesotho, Malawi, Mozambique, Rwanda, Kenya, Zimbabwe, Swaziland, Benin, Democratic Republic of Congo, Angola, Zambia, Egypt, Madagascar, South Africa, Reunion Island, and Botswana. Buyers at the event are mostly Large Destination Management Companies that bring good business for exhibitors. East African operators such Uganda safari and Tanzania safari tour service providers exhibit to promote their business and expand their market. Some of the tourism operators, and service providers who have confirmed their attendance and to exhibit at INDABA 2014 include: Mala, Zimbali, Grootbos, Blue Train, and Tsogo Sun, Under One Botswana Sky, Phakalane Resort Hotel Premier Hotels and Resorts, Eko Hotels and Suites Nesbitt Castle, Grand Plains Conservation, Sol Resorts, Kijongo Bay Beach Resort, , Legend Lodges and hotels, Rwanda Air, Ichobezi River Lodges, Safari 2 Gorilla Tours, the Shamwari group, Moivaro Lodges and Tented Camps and the Hemingway’s Collection. Tourism in Uganda , Rwanda and other smaller countries is bound to benefit from this event.